Even though many Fallout fans were cheering when Bethesda announced that a new entry in the franchise would be hitting shelves this fall, some were sceptical when the Maryland-based studio revealed its plans for the game. You see, Fallout 76 will be an online, primarily multiplayer experience, letting you both compete and team up with other players to conquer the game’s post-apocalyptic wasteland. Apparently, NPCs (non-player characters) will be few and far between, and it will be up to Fallout 76’s human players to create an interesting gameplay experience by interacting with each other in the game world. It’s a bold experiment for Bethesda, a company which until now had mainly focused in delivering rich single player experiences with games such as The Elder Scrolls V: Skyrim and Fallout 4, the predecessor of the upcoming Fallout 76. And one of the more engaging activities you’ll be able to carry out in the wasteland will be base building, something which Bethesda’s preview video below looks at. 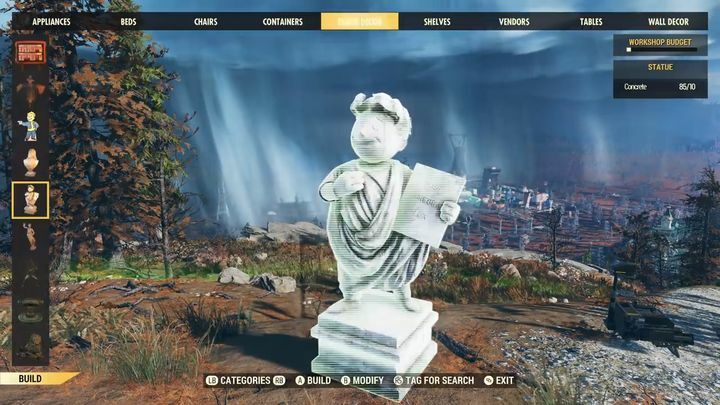 This will likely offer a plethora of possibilities for those willing to put in the time and effort (after all, settlement building in Fallout 4 was a game unto itself). Of course, the wasteland is a dangerous place, and defending your settlement from the beasties roaming the place will surely be a challenge too and hopefully more fun when you’re able to team up with your pals as Bethesda’s preview video shows. One feature of the game some might not like that much is that (this being a post-apocalyptic world and all) humanity is still fond of nukes, meaning other players can nuke your dear settlement too, even if Bethesda has already assured players you won’t lose your progress in the game if this happens. It would be a great thing then, if Fallout 76 manages to live up to their earlier games in the series despite its new multiplayer focus, something we’ll find out when this hits shelves later this year.